By Xah Lee. Date: 2018-07-26 . Last updated: 2018-07-27 .
the bottom of the issue is, does a named variable/unknown represent a SPECIFIC value? If so, ‹x›==‹x› is true. but if ‹x› represents any unknown (such as arbitrary string in a formal language), not specific, then ‹x›==‹x› can be true or false. but that depends on what the notation ‹x› is meant. In racket lisp language's documentation, it also uses italized text for variable, extensively, and thus have the same issue. 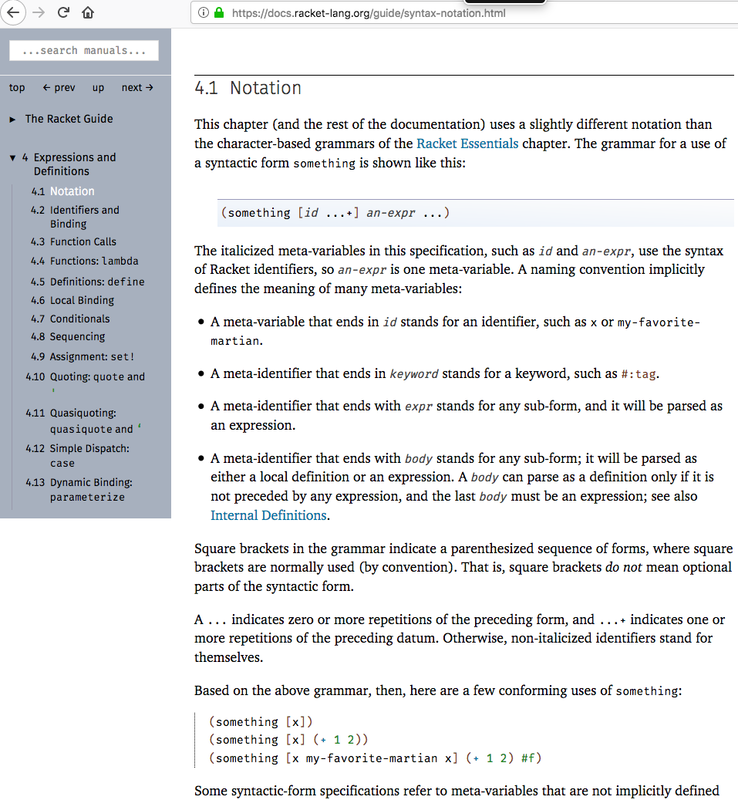 but i haven't seen occassions of ‹x›==‹x› occur to determine what is the italized notation means exactly. so, i wanted to think about, look at, explore, what system of formal lang or meaning of a italic var should be defined, pro and cons, etc. eg look at coq idris etc. it's not a problem i actually need to solve, but alone the way with my study of proof systems/formal lang. In Mathematica and haskel ocaml etc pattern matching system, a named pattern has a specific value. So that means, ‹x›==‹x› is always true. so am wondering, what's the similar situation/system if any, used in coq, idris, agda, etc to represent a variable, unknown, or meta variable (as the Racket lang doc discussed. ).